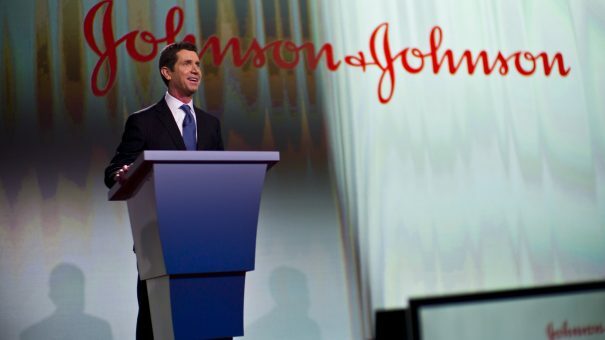 Johnson & Johnson has published a “transparency report” showing the company kept drug price increases below 10% on average each year since 2012, in response to president Donald Trump’s criticism of pharma over pricing. CEO Alex Gorsky (pictured) was among a group of business leaders who were first to meet Trump following his inauguration in January – and the company is clearly trying to keep on the good side of the president in an attempt to pre-empt any action against drug prices. However the company said the report is also aimed at addressing concerns of patients over access to medicines, and to generate a debate about how to improve the health system. Figures in the report show on average list prices rose by 8.5% year-on-year – but taking into account rebates, discounts and returns, the average price increase was 3.5%. Janssen said it gave back $11 billion in total discounts and rebates, and helped 870,000 commercially insured patients reduce their out-of-pocket spend through a savings programme. The company said it spent 55% more on R&D than marketing and sales – with $7 billion going into research and $4.5 billion spent on sales and marketing. Trump declared last month that pharma companies were “getting away with murder” when it comes to pricing, but has characteristically given mixed signals on his overall policy to the industry and prices since then. Nevertheless, the industry is under pressure on several other fronts to improve access to medicines, with opposition Democrat politicians also calling for reforms. J&J has avoided the kind of scrutiny faced by certain other pharma companies who have come under investigation from US authorities over pricing. Turing Pharma and Valeant have been among those targeted for raising the price of older drugs, while two weeks ago Marathon Pharmaceuticals halted plans to launch Duchenne muscular dystrophy drug Emflaza, after a backlash against its huge $89,000 annual cost.